This past Thursday night gathering at the Workshop, Rick Stuart showed up all smiles- though I’m not sure if this was due to his enthusiasm to show off his new gadget or in anticipation of Rachel’s shortbread which had been announced earlier via email. Rick has built a personal entertainment center which has the capacity to display high-defintion videos and music through an upcycled touch-screen LCD. Rick had recovered some of these screens from his previous workplace and had decided to put them to use in a new project. 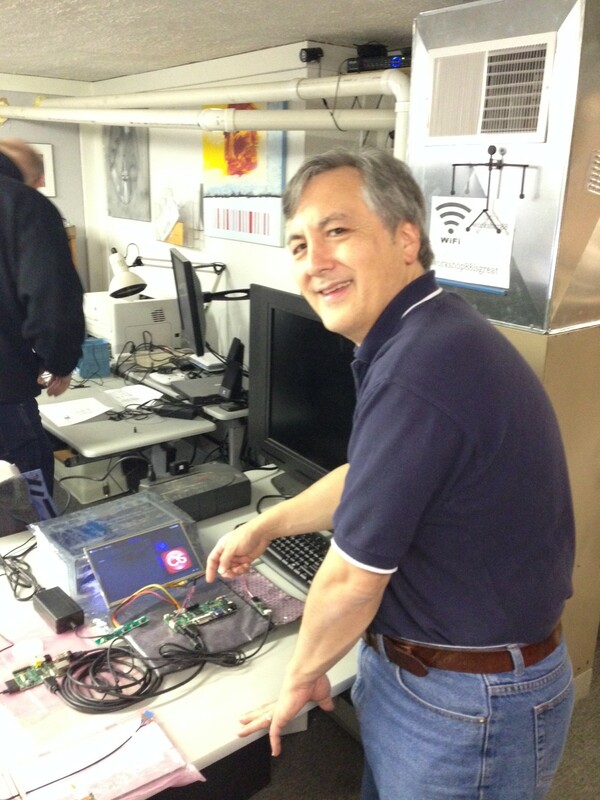 He has created a running loop for the system to operate: he utilized a Raspberry Pi running OpenELEC in order to run XBMC (a media center) and connected an HMDI cord to a LVDS adapter board. The adapter runs to the LCD, which is connected by USB to the Raspberry Pi. For sound, the system will be attached to speakers. Files are stored on an SD card inserted into the Raspberry Pi, and streamed files are accessible through connecting an ethernet cord. By using HDMI instead of the normal video output connection, Rick was able to make his display high-definition. Rick said that a great advantage about his system is that he was able to essentially create his own media center out of materials he already had on hand plus the low cost of a Raspberry Pi. 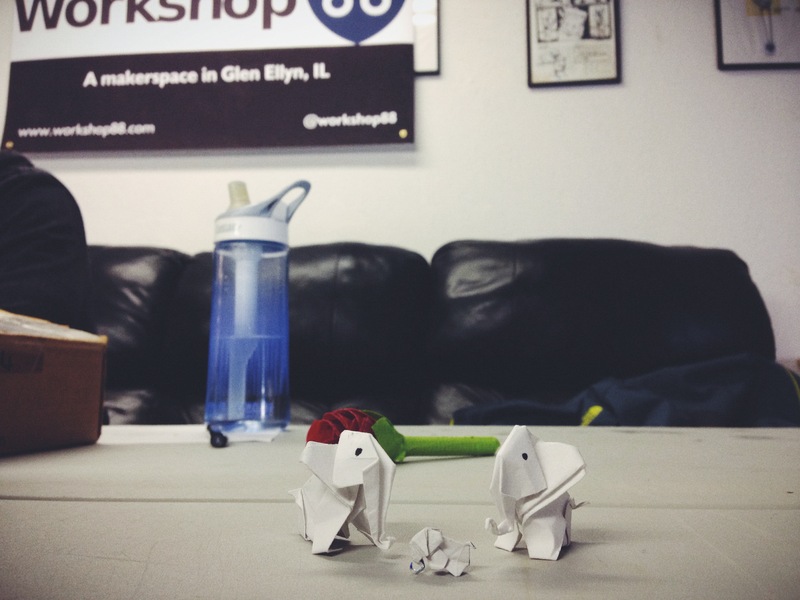 Meanwhile, Zach showed me how to create very intricate origami elephants using printer paper. While there’s no hope of me recreating one on my own, I thought it was important to highlight how awesome they turned out. This entry was posted in General Meetings and tagged lcd, lcds, openelec, origami, rachel hellenga, raspberry pi, rick stewart, upcycling, Workshop 88, xbmc by Taylor Burnham. Bookmark the permalink.